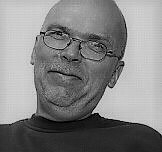 Ulrich Breitbach studied History, worked as journalist and author, today works as council adviser at MAN Diesel & Turbo, a mechanical engineering company at Ruhr industrial region, member of IG Metall (german metal-workers union). How can we explain the shift in the prevailing attitude among the leadership of Germany’s Social Democratic Party (SPD) and Free Trade Unions at the beginning of World War I? In the space of a few days, a position of fervent opposition was replaced by patriotic support for the government’s military ambitions, and the reasons behind this change remain the subject of debate.